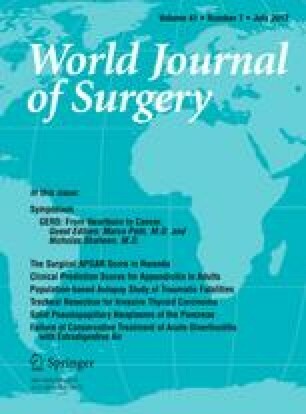 Clinical Prediction Rules for Appendicitis in Adults: Which Is Best? Clinical prediction rules (CPRs) provide an objective method of assessment in the diagnosis of acute appendicitis. There are a number of available CPRs for the diagnosis of appendicitis, but it is unknown which performs best. The aim of this study was to identify what CPRs are available and how they perform when diagnosing appendicitis in adults. A systematic review was performed in accordance with the PRISMA guidelines. Studies that derived or validated a CPR were included. Their performance was assessed on sensitivity, specificity and area under curve (AUC) values. Thirty-four articles were included in this review. Of these 12 derived a CPR and 22 validated these CPRs. A narrative analysis was performed as meta-analysis was precluded due to study heterogeneity and quality of included studies. The results from validation studies showed that the overall best performer in terms of sensitivity (92%), specificity (63%) and AUC values (0.84–0.97) was the AIR score but only a limited number of studies investigated at this score. Although the Alvarado and Modified Alvarado scores were the most commonly validated, results from these studies were variable. The Alvarado score outperformed the modified Alvarado score in terms of sensitivity, specificity and AUC values. There are 12 CPRs available for diagnosis of appendicitis in adults. The AIR score appeared to be the best performer and most pragmatic CPR. Irene Zeng—Research Biostatistician, Department of knowledge and information management, Middlemore Hospital. MK designed the study, performed the initial screen and review of all articles included and composed the manuscript. ML was involved in the extraction of data from articles included and assisted with preparing the final manuscript. CH was involved in initial article screen and extraction of data from articles included. WM was involved in extraction of data from articles included. LS was involved in extraction of data from articles included. YH provided statistical expertise used to develop the dot plot. JM is a senior author and primary supervisor of masters student who completed this project and also assisted in preparing the final manuscript. AM is a senior author and principal investigator provided supervision to the co-authors. All authors have approved the manuscript as representing honest work, and each author meets the requirements for authorship.